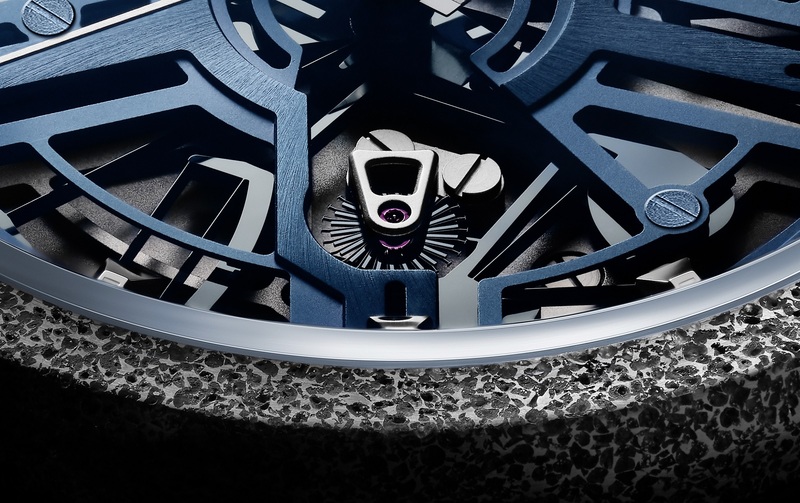 Equipped with the ingenious silicon oscillator unveiled two years ago, the Zenith Defy Inventor is notable not for that, but the fact that it will be serially produced to the tune of several hundred pieces a year. A large silicon frame that functions as the balance wheel, hairspring, and lever, the Zenith Oscillator was first introduced in the Defy Lab in September 2017, heralded as the next evolution of the Swiss lever escapement. 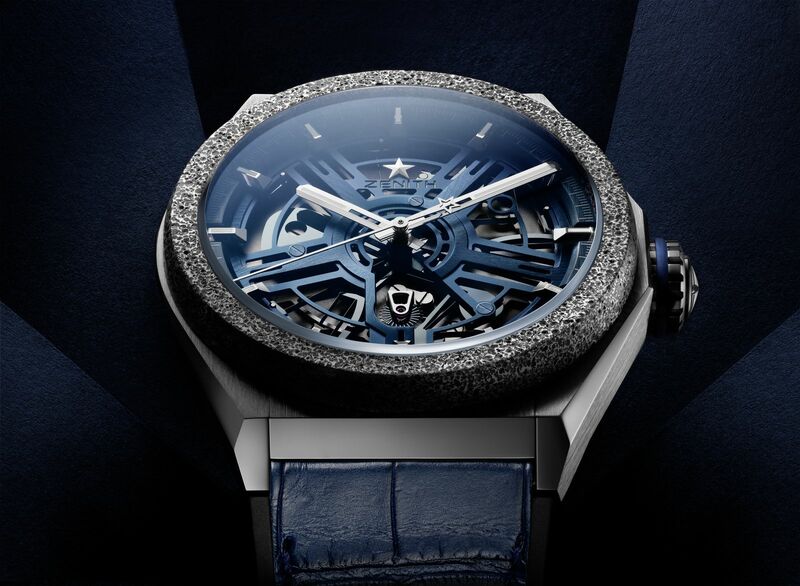 The Defy Lab, however, was a limited edition of just 10 pieces, essentially 10 experimental watches sold to the public. 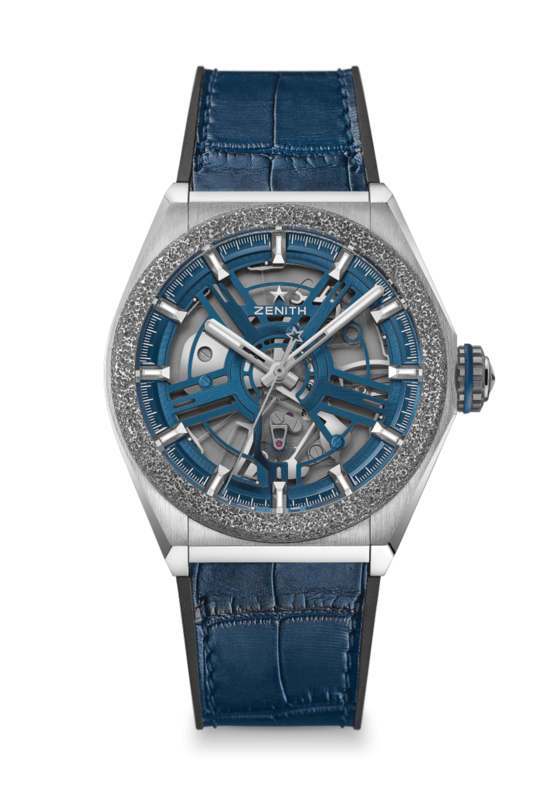 But Zenith promised to turn it into commercial reality and has made good on that promise at Baselworld 2019. The Defy Inventor isn’t just a remake of the Defy Lab, of course. It’s been reworked in both technical and aesthetic features. While both the Defy Lab and Inventor share the impressive Zenith Oscillator, which relies on the tensile properties of silicon to regulate the movement at a high frequency, the Oscillator has been improved in the Defy Inventor. The new watch uses a reworked escape wheel that is made of silicon, and has split, flexible teeth. In contrast, the Defy Lab utilised a more conventional escape wheel with fixed teeth. The frequency of the oscillator has also been increased. The Defy Lab ran at 15Hz, or 108,000vph (vibrations per hour), five times the 3Hz of an ordinary movement. But the Defy Inventor goes even further and operates at 18Hz, or 129,600vph. The increase in frequency, however, has reduced the power reserve from about 60 to 50 hours – substantial but with little practical difference on the wrist. Both the Defy Lab and the Defy Inventor are certified for magnetism resistance (based on the ISO-764 standard) and immunity to temperature changes (ISO-3159). 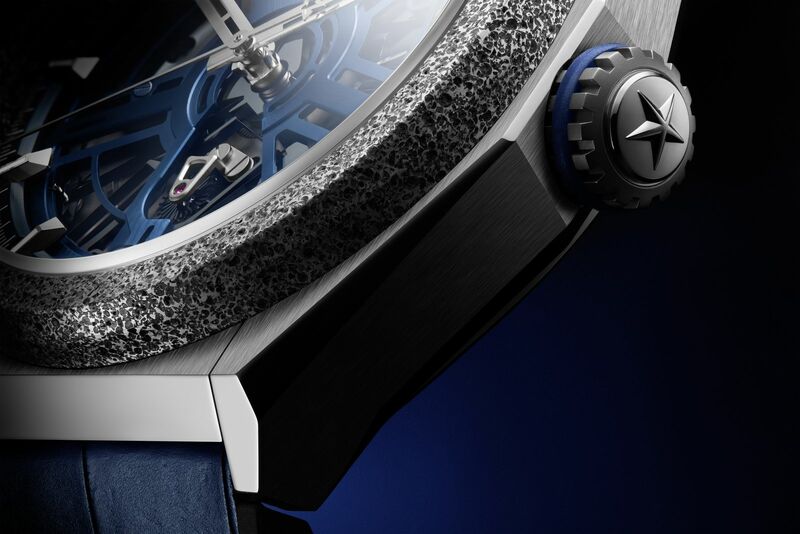 In terms of precision, however, the new Defy Inventor is chronometer-certified by Geneva-based non-profit TimeLab (here’s a handy guide to the lesser-known certification), while the Defy Lab was a certified by the Observatory of Besancon, giving it the prestigious Tête de vipere (“viper’s head”) hallmark. Though the case design remains the same, the materials used are now more conventional. The original had the entire case made of a Aeronith, a porous aluminium composite, which is only used for the bezel of the Defy Inventor. The rest of the Deft Inventor is lightweight titanium, and measures the same 44mm wide and 14.5mm tall. We have seen many brands try to reinvent the traditional regulation of a mechanical movement but most have only managed to do it in small numbers as limited editions or concept watches. 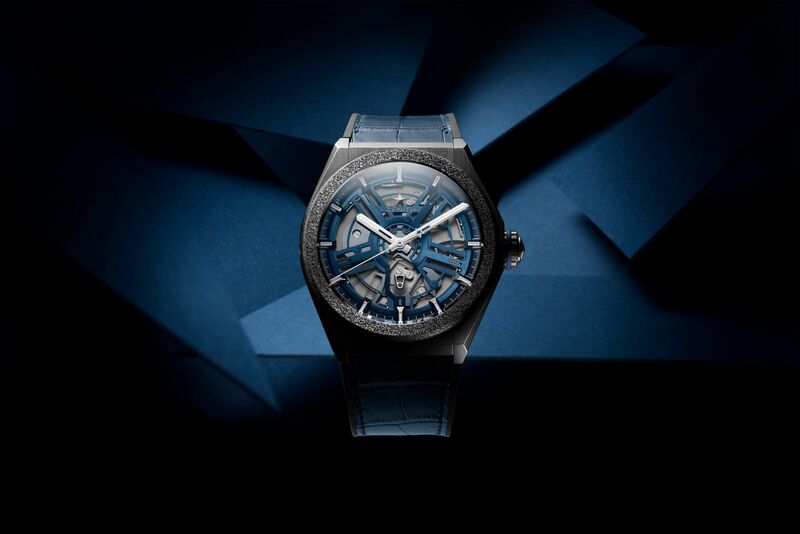 While the Zenith Defy Inventor will be made in small quantities relative to the company’s total output, it nonetheless is a significant technical achievement. The ability to negate all the weaknesses of a traditional regulator – temperature, magnetism, wear and tear -sounds like science fiction, but it might just be the future for Zenith. The Zenith Defy Inventor (ref. 95.9001.9100/78.R584) is priced at 17,900 Swiss francs, or about US$18,000.